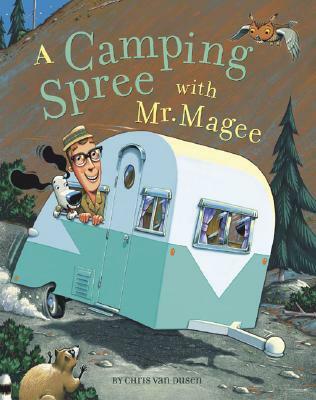 Mr. Magee and his trusty dog, Dee, are enjoying a peaceful camping trip when all of a sudden they find themselves plunging down a mountain and teetering on the edge of a huge waterfall! How will they find their way out of this slippery situation? Chris Van Dusen, the creator of Down to the Sea with Mr. Magee, has filled this new adventure with charming illustrations and a playful, rhyming text. A fun read-aloud for children (and adults!) on campouts or snuggling at home! Chris Van Dusen has created illustrations that have been published in magazines and books and printed on T-shirts and greeting cards. He lives in Maine with his wife, two sons and, naturally a dog.